tent. Why leave something as moody as the weather to chance? There really is no point in planning out a nice party, going shopping for supplies and inviting your friends over just to have the fun ruined by a little rain! Having a solid tent in place at the venue ensures that even if the weather turns nasty, the party carries on and your guests continue having a good time! Some quality of a good catering tent. 1. 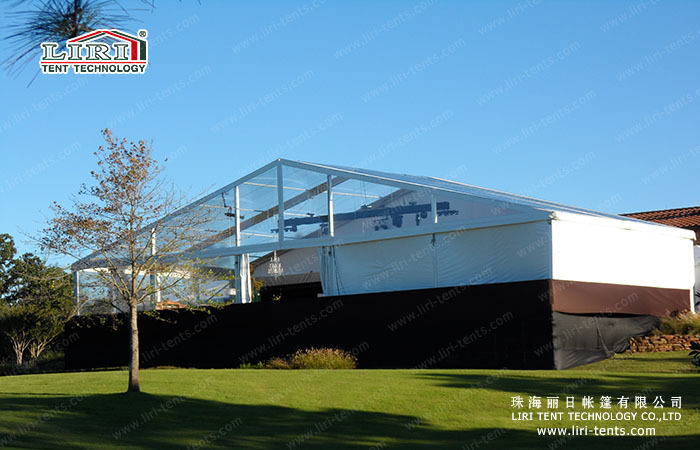 The tent must be easy up but with strong frame, since tent is used for temporary for outdoor events, therefore, setting up the tent must be cost lest time and safty. 2. The tent needs to be UV restance and water proof, so you can protect yourself from the bad weather. 3. With a complete system, which can based on your need to fix with different accessories. 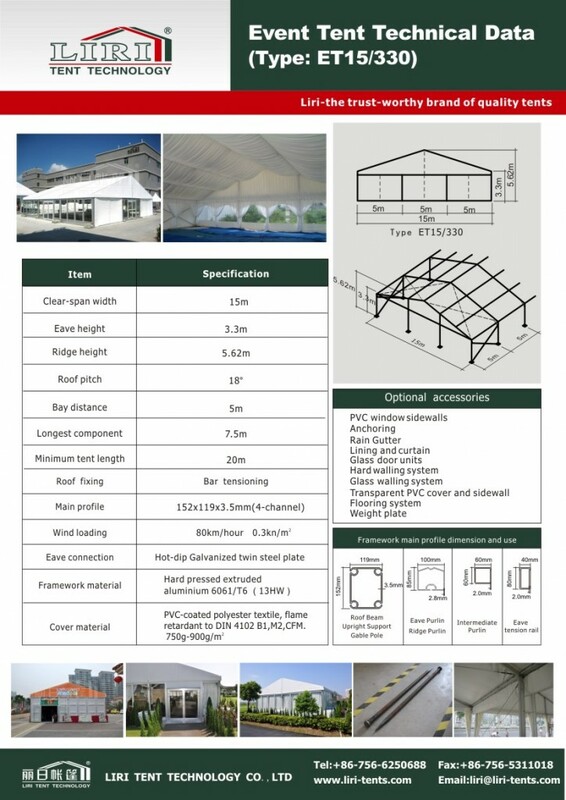 Here will be more details of the 15m tent with US Engineering Certificate.